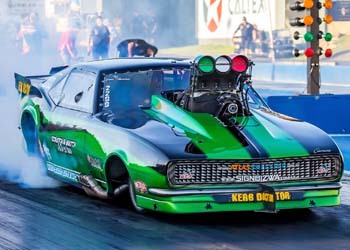 As we head towards the end of the 2018/2019 Drag Racing season, the final event will be exciting on a number of fronts! 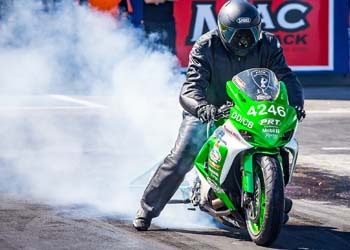 Not only is this the Grand Final of the National ANDRA Summit Series, it is also the Final of the WA Drag Racing Championship Series. 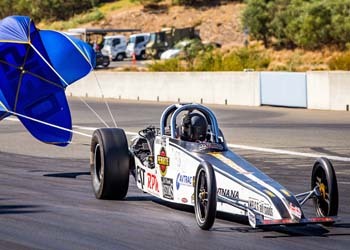 While some Championship placings have already been decided there are number of Brackets still yet to be decided in the much sort after WA Championship Series and the Summit Racing Equipment Sportsman Series and of course the Winner of the Grand Final event! With mixed results from the Nitro Bikes so far this season due to crashes and mechanical woes we have seen 3 leaders come out on top with not many points dividing them. 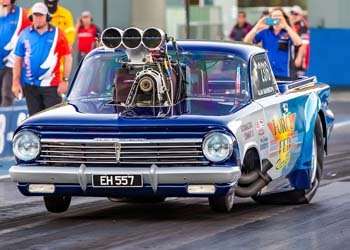 We will see Wayne McGuiness, Tony Wood and Les Holden battle it out at the Grand Final for the final decider. 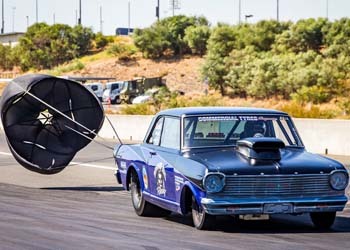 Super Comp will go down to the wire with Errol Quartermaine and Ralph Lewis and at the end of the day one will be Champion and the other taking runner up. Third place will also be a dice between Todd Stacy and Kyle Putland. Comp Bike has been wrapped up already, Phill Paton has a safe hold on the winner title for Comp Bike with Brett Ghedina taking out 2nd and Ross Smith in 3rd place. 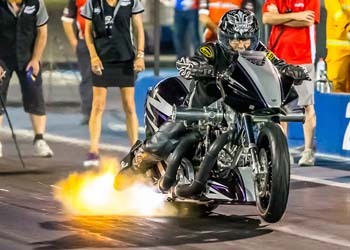 Alan Mahnkoph travels down from Tom Price for each event and has made it pay off with consistently quick performances blitzing the field all season long and wrapping up his first Supercharged Outlaws Championship. 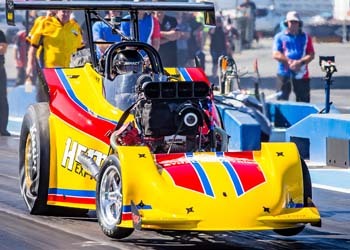 Last year’s champion Jodie Mellitt suffered major engine damage in her Dragster and has enough in the bank to secure second place and Norbert Claite will lock up the 3rd place trophy. Chris Roe dominated Top Sportsman this season with 5 wins so far this season seeing him clear out from the field, however 2nd and 3rd positions will be fought out between Amanda Martin and Alby Bakranich. Angelo Locantro has secured 1st place in Modified, however 2nd & 3rd has 3 contenders in the running which include Nic Wroe, Jeff Acton and Rookie Corey Treasure all hoping to get their name on one of the top three places in the Championship. 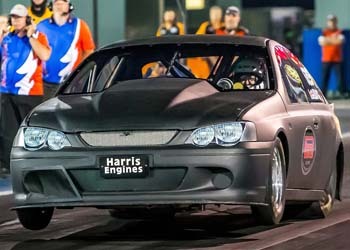 Six racers are going in all guns blazing this Grand Final with all positions up for grabs, Mick Fenton is in the box seat but he has Neil Scott, Matt Gullotto, Yvette Gregg, Nick Panagopoulos and Kyle Higgins all aiming for his top spot this weekend! 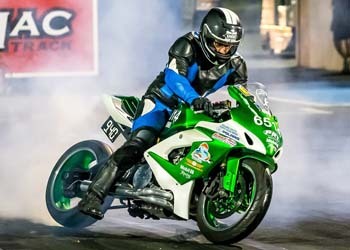 Chris Moore has locked in the 1st place position in Mod Bike with an unprecedented 4 wins in a row this season! However the 2nd and 3rd spots are up for grabs with four riders, Brain Hotker, Bruce Jones, Paul Deklerk and Ian Read within striking distance and yet another 3 riders with a mathematical chance at third spot should the riders above them go out early in competition. One thing for sure is they all will all be pushing themselves at the ANDRA Summit Series Grand Final. 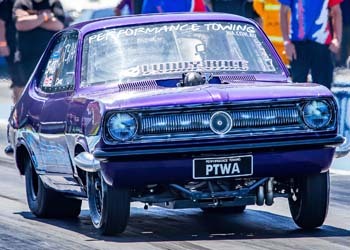 The highly competitive Super Street bracket will see Joel Trotman lock in the Top Spot in the points once he qualifies for the field this weekend. Craig Caton, Chris De Bruin and Paul McNamara will be going to war for the 2nd and 3rd places. 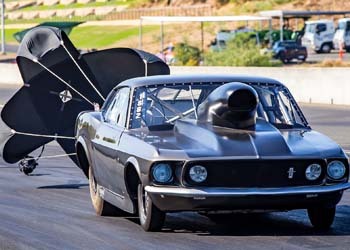 The Outlaw Radial guys locked up their Championship at the penultimate round with Darryl Maxfield in his Turboed LC Torana taking the top spot ahead of Tim Roads and Wayne Smith. 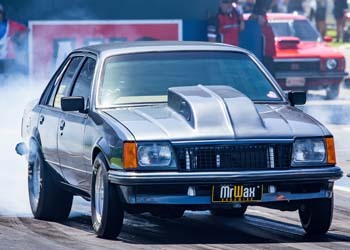 This was the first season the Outlaw Radial Bracket has run and it is proving very popular with both the Racers and Fans, look out for this bracket in the new season!! !